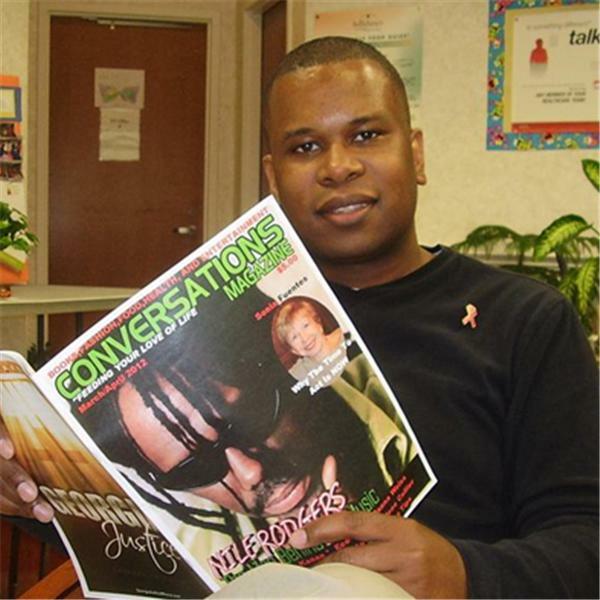 Conversations LIVE Radio show host Cyrus Webb starts off your day with authors and books that are sure to inspire and motivate you. Host Cyrus Webb welcomes author Joe Solmonese to #ConversationsLIVE to discuss his new book THE GIFT OF ANGER (Use Passion To Build Not Destroy). Host Cyrus Webb welcomes author Laurence Leamer to #ConversationsLIVE to discuss his new book THE PRESIDENT'S BUTLER. Host Cyrus Webb welcomes author Christine Simolke to #ConversationsLIVE to discuss her new book CHILDREN OF ITALY. Author Barbara Claypole White discusses her new book ECHOES OF FAMILY w/ #ConversationsLIVE host Cyrus Webb. Host Cyrus Webb welcomes author Meg Little Reilly to #ConversationsLIVE to discuss her new book WE ARE UNPREPARED. Host Cyrus Webb welcomes bestselling author Tosca Lee to #ConversationsLIVE to discuss her amazing literary journey and the new book THE PROGENY. Host Cyrus Webb wlecomes author Deirdre Riordan Hall to #ConversationsLIVE to discuss her literary journey and her new book SUGAR. Host Cyrus Webb welcomes author Amber Smith to #ConversationsLIVE to discus her literary journey that led to THE WAY I USED TO BE, what it's been like to see the response and what's to come.